National Catholic Schools Week 2019 (CSW) will be observed in dioceses around the United States January 27–February 2, 2019. This year’s theme, “Catholic Schools: Learn. Serve. Lead. Succeed.,” focuses on the important spiritual, academic and societal contributions provided by a Catholic education firmly rooted in the Truth of the Gospel. The observance of CSW began in 1974. Schools and parishes around the country will hold activities such as Masses, open houses, and family gatherings to celebrate the communities they represent. The week also highlights the educational and community successes of Catholic schools nationwide. Ninety-nine percent of Catholic school students graduate from high school and 86 percent of Catholic school graduates attend college. This percentage has been consistent for more than 20 years. For the second year, the National Catholic Educational Association (NCEA) will lead the Many Gifts, One Nation: A Day of Giving to Catholic Schools, in partnership with FACTS Management, January 29, 12 PM EST through January 30, 12 PM EST. This 24-hour period is one way to support development programs in Catholic schools throughout the country. Scheduled during National Catholic Schools Week, this Day of Giving is a perfect time for individuals to give to their local Catholic schools. In 2018, more than $850,000 was donated to 539 participating Catholic schools, six dioceses, and NCEA. For more information on the Day of Giving, please go to www.NCEA.org/csw/manygifts. 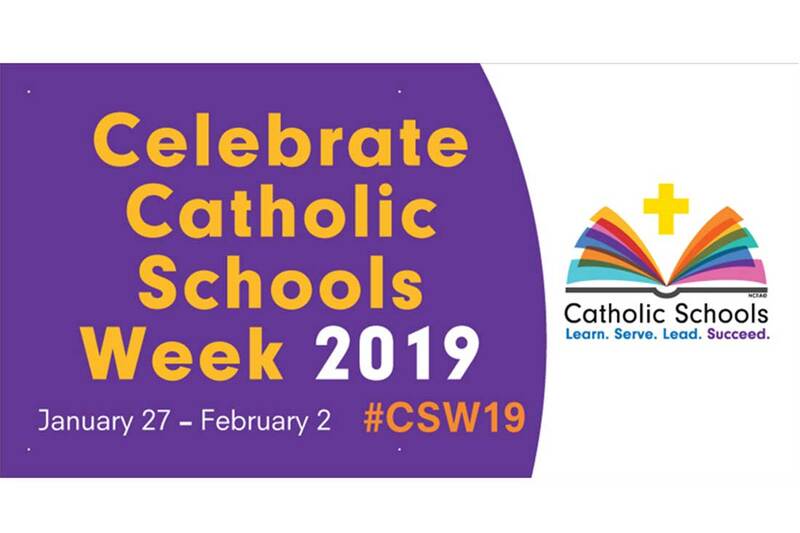 Catholic schools and the many members of Catholic school communities will share their Catholic Schools Week celebrations on social media using #CSW19. The National Catholic Educational Association (NCEA) and the Secretariat of Catholic Education will also highlight Catholic education’s strengths, successes, and stories on their Twitter profiles: @NCEATalk and @USCCBCatholicEd, respectively. More information on the Committee on Catholic Education and other resources are available online: www.usccb.org/beliefs-and-teachings/how-we-teach/catholic-education/ and www.NCEA.org/csw.